Editor’s note: The Pacific world is not just the west coast of the Americas and the east coast of Asia. It embraces some 25,000 islands in between. 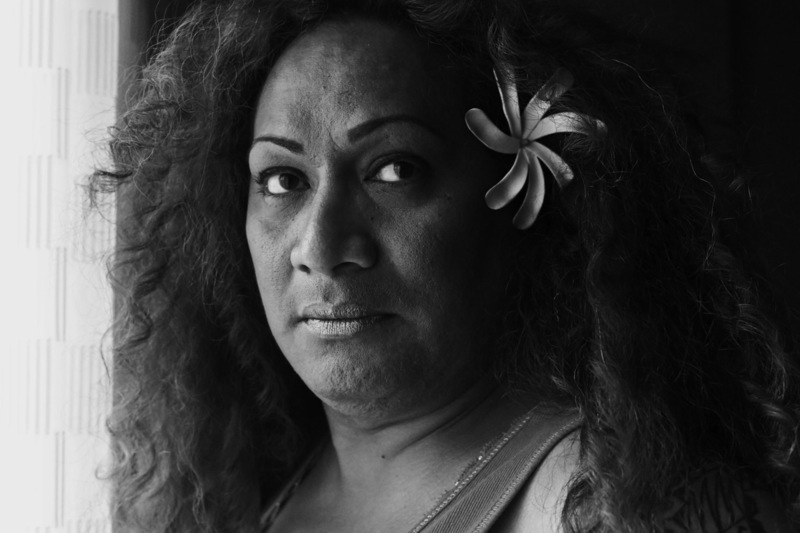 Jean Melesaine is a Samoan photographer and activist who has been documenting Pacific Islander communities in the San Francisco Bay Area, where she lives. 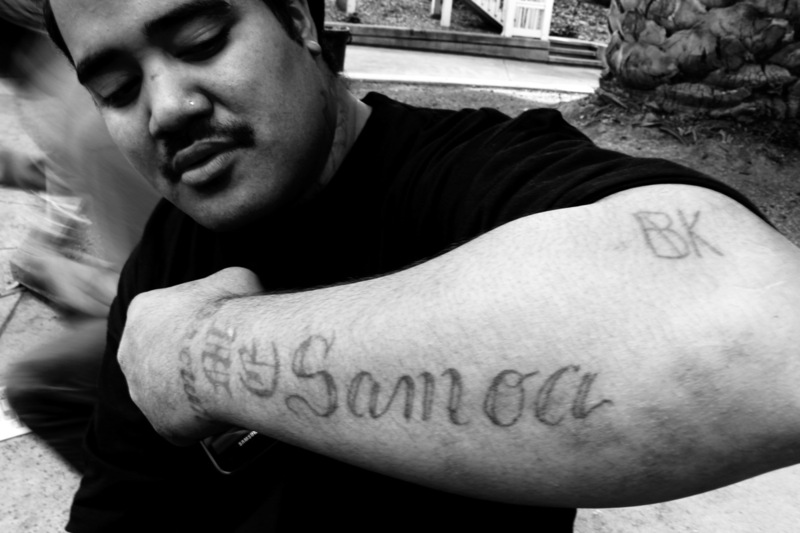 The specific experiences and cultures of Pacific Islanders are often overlooked, Melesaine says, when Asian Pacific Islanders are lumped together as a group. Coming from so many islands spread across the world’s largest ocean, Pacific Islanders are a very diverse lot. Perhaps that is why Melesaine’s work so often focuses on individuals. 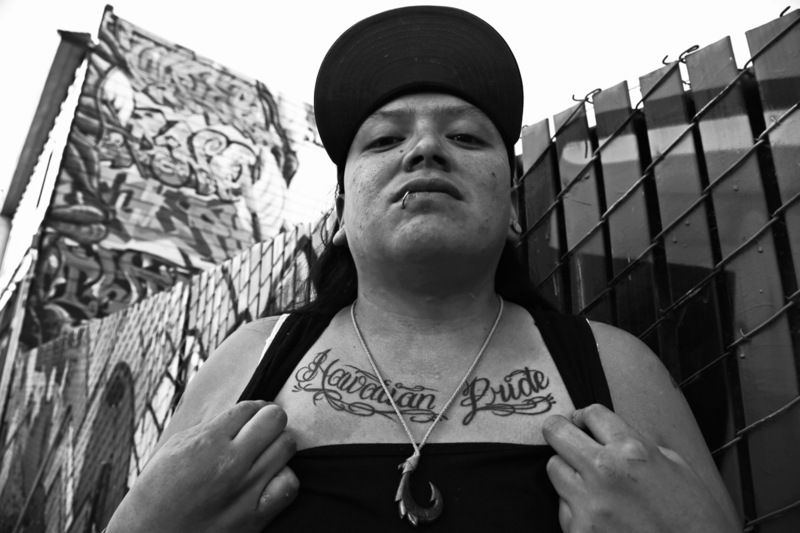 Here, and in her photographs and films for the Oakland Museum of California’s Pacific Worlds exhibition, Melesaine highlights one person at a time so that, story by story, California’s connections to the people, cultures, and histories of the Pacific are revealed. Taken together, Melesaine’s work portrays a dynamic, diverse living Pacific world community at home in California. Pacific Worlds runs from 30 May 2015 to 10 January 2016.